Home » Freezer » How Does a Freezer Work? We use them all the time, to store food, like ice cream and everything else. Have you ever stopped to wonder why and in what way they work? In the following post, we explain the history and science in a simple way. 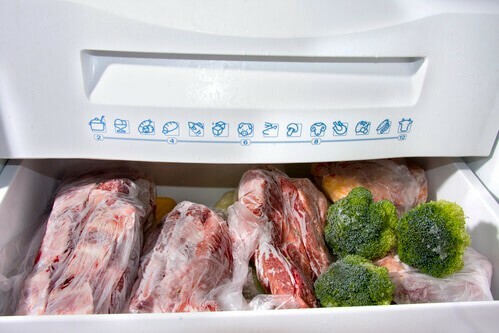 Freezers are a big part of our everyday lives. They are considered to be one of the most important and basic appliances that you need for your home. It’s likely that you have always had one in your life, since before you could talk or walk. 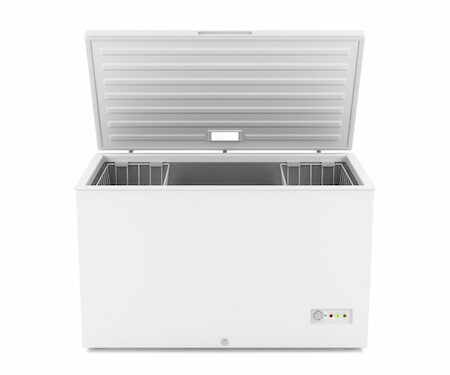 We use them for everything from storing already-frozen items such as fruit, veg, ready meals, meat and desserts like ice cream, to storing things like leftovers or batch cooked meals. Despite the fact that a freezer has probably been a big part of your life, have you ever stopped to wonder how do freezers work? It’s funny that we use something every day of our lives and take it completely for granted. Although it seems like a modern invention, it has been necessary to store food for use later, and ice for drinks goes back to the days of ancient Mesopotamia. The ancient people there discovered that food that was kept cold actually rotted much slower than food just left outside. As a result, they started digging pits in the ground and then using sand and straw to insulate them, and then topping them up with snow and ice taken from mountains nearby. These ice caves or pits were then used to preserve food for at least two to three weeks. Those people understood that warm air from outside the pits could stop the snow insulating the pits from cooling their food sufficiently, so they made sure the entrance to the pit was narrow and small to stop air seepage. Food was preserved using this method until around the 1600s when France and England created their own variations by inventing the ice house. While most were partially dug into the ground, some had thatched roofs that kept food cold and provided chipped ice for desserts and drinks, using ice and snow brought from local lakes and it would stay good for at least a year. The process is similar to an ice cave, using an insulator like small branches or sawdust that was then topped up with sawdust and snow. The invention of the icebox replaced these, in order to keep items stored in the compartment cold. That’s why modern freezers with mechanically-circulated vapor-drives are more complex and more efficient than those ice caves. Recommended Article: Check out how the top mini freezers compare in our latest article. It was actually as early back as the 1800s that scientists made discoveries related to thermodynamic laws and nature of temperature. This is when the pieces of the artificial temperature regulation puzzle came together. It was Jacob Perkins, an American inventor built up on the ideas of vapor absorption that were laid out by Oliver Evans, another inventor in the early half of the 1800s. This was to build a cooling unit that relies on the process of vapor compression. Perkins have figured that if there was a substance used for a refrigerant would absorb heat and give off heat while it goes through changes in pressure and transforms from a liquid into vapor and then back again. To put it another way, Perkins found that specific chemicals could be used to reduce air temperatures by absorbing all of the heat from the air. He was the first to obtain a patent for a refrigerating unit. However, his invention was never a success commercially. During the latter half of the 1840s, a doctor had patented a device that was able to pressurize and depressurize refrigerant to make ice. Though it leaked but didn’t always work properly. During 1860, there was also an inventor from France called Ferdinand Carre that improved vapor compression tech by making use of a much more effective and stable, but toxic refrigerant, known as ammonia. Then by the ‘20s, the technology had become more refined. As electricity was now more widely available, crude but very expensive freezers became available commercially in Europe and the US. However, they were still inefficient. Outside air could get inside the freezer, so they still had to be sorted inside icehouses to ensure the temperature was controlled properly. Since then though, freezers have improved greatly, thanks to more efficient ways to keep the cold air on the inside, much better chemicals, and complex machinery. In order to understand how a freezer works, it is a good idea to think about a river winding through countryside and mountains on the way towards the ocean. It then empties, then is lifted into the sky with the clouds, is converted into rain and that then re-enters back into the same river again and flows down into the same ocean. The refrigerant flows and then transforms back from a liquid into gas and then back again. Nowadays, the refrigerants that are commonly used are HFCs. Others such as HCFCs and CFCs are strictly regulated and actually banned from being used in various products because they play a part in the depletion of the ozone layer. Recommended Reading: Check out our guide to refrigerant detectors. You can read it here. The cooling process begins with the refrigerant in the form of a vapor underneath low-pressure. It flows into the compressor, which is normally found at the lower back. This squeezes the particles of the vapor, heating it up, converting It into a higher-pressure form. This pressurized, hot refrigerant is then pumped from the compressor into a tube and the condenser. Have you ever touched the freezer on the outside and been surprised at how warm it is? That’s the heat emitted by the condenser coils. These are normally placed below or at the freezer’s bottom. From this point, it is then exposed to the room’s atmosphere and cooled. While the vapor flows through the coils, it keeps its high pressure and loses heat. The refrigerant, now in a liquid state has natural levels of pressure that pushes it into the next component, known as the metering tube. This helps to regulate the pressure of the vapor to enable it to flow into the next part. The liquid refrigerant then moves from the above component into a much larger evaporator, while the pressure drops, forcing it to convert back to a vapor with low pressure. 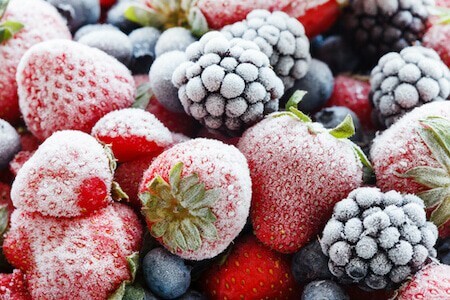 Heat is also absorbed by the evaporator, leading to a vapor that is freezing cold vapor that then keeps the temperature of the unit cold enough to freeze food. This vapor then returns back into the compressor to start the process again.